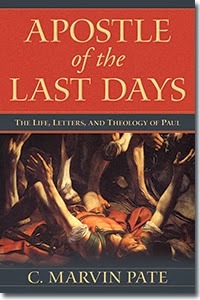 Several weeks ago, I was sent a book from the Kregel Academic Division by C. Marvin Pate, Apostle of the Last Days—The Life, Letters, and Theology of Paul. The arrival of this book coincided with a study that I had been doing in Acts and it came at just about the time I was going through the conversion of Saul of Tarsus. While there was some good material about the basic history of Paul, the whole subject matter of the book was concerned with the eschatological stances that Paul placed in his epistles. One particular thing I appreciated about Pate’s subject matter was his response to some of the critics who have attempted to question the authenticity of the Pauline letters. I have increasingly noticed in the last five years or so that there is an increasing tide among those who once believed in the Bible to begin to pick at its edges and question the authority of the Word of God. Pate meets some of that response briefly in the introduction as he moves toward a conservative approach to the Bible. You will benefit from what he has written and how he has responded (p. 13). Leonardo da Vinci was a man who marked the world far beyond his lifetime. He made some valuable contributions to the hometown he grew up in. But it was his drawings that would outlive him. The principle behind electric doors that are present at department stores was one of his ideas. The principle behind the lamps and bulbs that have the ability to operate with varying degrees of power was another of his ideas. 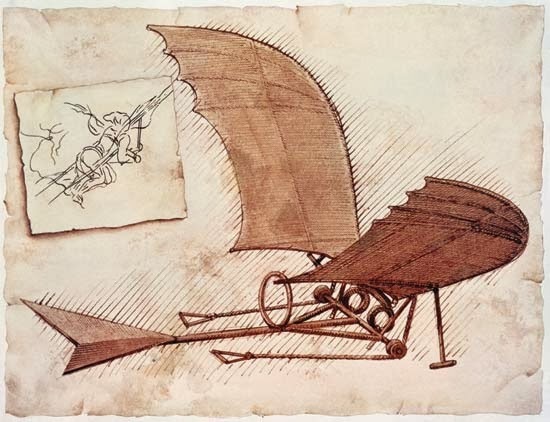 I am certain that most people are familiar with his drawings of what he called “flying machines.” These drawings would be proven true later on as the field of physics and the study of aerodynamics developed. While some would categorize da Vinci as a genius, from various biographies it is clear that da Vinci had a gifted mind but it was not what many would classify today as an exceptional one. So what was it that separated da Vinci from the rest of his fellows both in his time capsule and those beyond it? It was a principle that is noted very early on in the journals that da Vinci seriously began to write in while he was in his early ‘20’s. He lived by a principle called OSTINATO RIGORE which means a stubborn, relentless and persevering work ethic. This is what da Vinci did. Once he started working on a project or a certain pursuit, he would not let it rest until he had completed it. This is what made him one of the masters of the world as we know it. His voice was one of the prevailing voices that came out of the Renaissance. It was through his commitment to this principle that he allowed science, art, military strategies, and machinery to be forever changed because he stayed with it. Here is another very good resource for our continuing education for minister’s series. 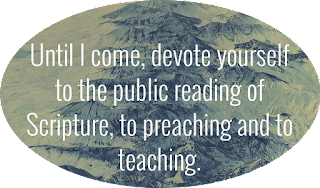 If you have been a reader of this blog for any length of time, you are very much aware that a lot of time and attention has been given to preaching. The reason for this is because I believe it is the highest priority that a pastor can devote his time to. Obviously after you have been preaching for a while, you can get into a rut in the preparation process and there are a wealth of resources on the internet to help us to be better preachers. You also know that I always put a disclaimer out when I recommend books and other resources—keep the meat and toss the bones. Such is true for this same series of videos. There are close to fifteen hours of instruction here and you can treat it as if you are attending class. I encourage you to do this! Take notes and develop the principles so that you can become clear voice for God. Because continuing education is a part of what a minister ought to do, I have been attempting to put up some resources that have been useful for me. In the fall of 2012, I attended the Expositors Conference that was hosted by Steven Lawson in Mobile, Alabama. At that conference a very nice “grab-bag” of books were given to those who attended. I think the cost was $75 but just what was in the bag alone was worth more than what the registration fee was. A number of Christian book publishers were represented that had focused their publishing on matters of preaching and other resources to help preachers. The commentaries and the books on preaching were incredibly priced. One of the books that I bought was “Preaching the Psalms: Unlocking the Unsearchable Riches of David’s Treasury.” I had little idea that this book was going to be as good as it was.